No matter the month or temperature, it’s always beer o’ clock in Austria: placing second worldwide in per capita consumption, only our Czech neighbors chug more. And while lager (sometimes known as Märzen) remains the suds of choice, local palates are growing increasingly fond of more exotic flavors: craft brews and Belgian beers, in particular, are gaining traction despite remaining difficult to find. nice pilsner is for you to decide – keep in mind, though, that UNESCO considers them a part of intangible world heritage. The Belgians themselves do not take their traditions lightly: The mother brewery, Huyghe, from Melle, Flanders, sent a delegation on opening night to ensure that quality standards for their signature blond ale Delirium Tremens were met. Entering feels like descending into a cave, all low ceilings (watch your head!) and dim lights – but the massive beer fridge shines like a beacon to the thirsty, displaying just a small portion of their repertoire. 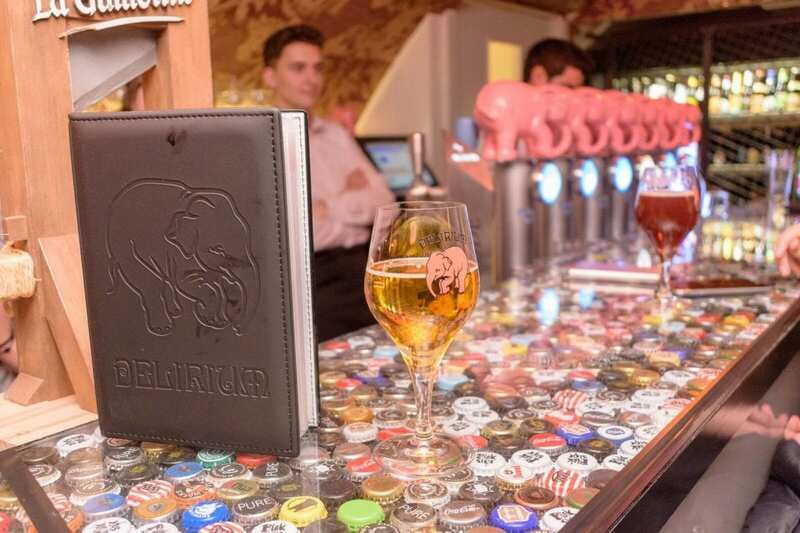 But the real draw is the selection of 13 draught beers, each tap decorated with Delirium’s pink elephant mascot. Most of them are obviously from Belgium, but the occasional Austrian craft brew can also be found –if the somewhat unappetizing name Muttermilch (mother’s milk) doesn’t scare you off, that would be our patriotic recommendation. If you’d rather taste something from further afield, be aware that most Belgian brews are twice as strong as your generic Ottakringer, so you might not make it through the entire repertoire in one sitting. To make the inevitable hangover a little more manageable, they offer six-glass tasting boards that let you sample the goods without going overboard. Alongside its exhaustive selection, the bar really delivers an international, welcoming vibe; its energetic staff members might not speak German and won’t break any land speed records but make sure you feel at home instantly. If you need a specific reason to drink, join their pub quiz every second Wednesday and answer questions like how much time Neymar spent whimpering on the ground during the last World Cup to win a €40 beer voucher. One word of advice if you’re looking for some pub grub: Their burgers are pretty decent, but everything else tastes indifferent and straight from the freezer. Sadly, that includes the fries, which are definitely unworthy – almost an affront to Belgium’s national dish. 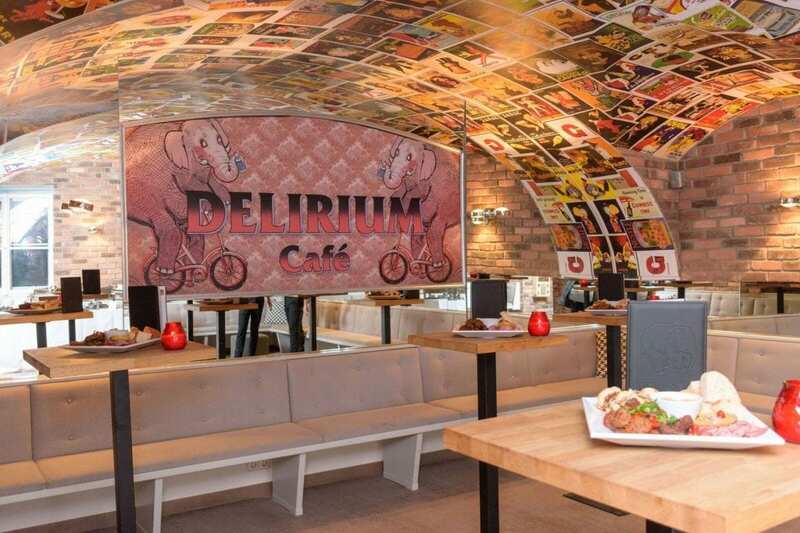 Still, Delirium’s quirky charm and exemplary beers make it a worthy addition to Vienna’s brew scene, joining the Känguruh Pub in the 6th district to spread Belgian cheer – just cut yourself off before the pink elephants start toasting you.